When you tell us the world ain't enough and make it your album title, you're bathing in bombast. 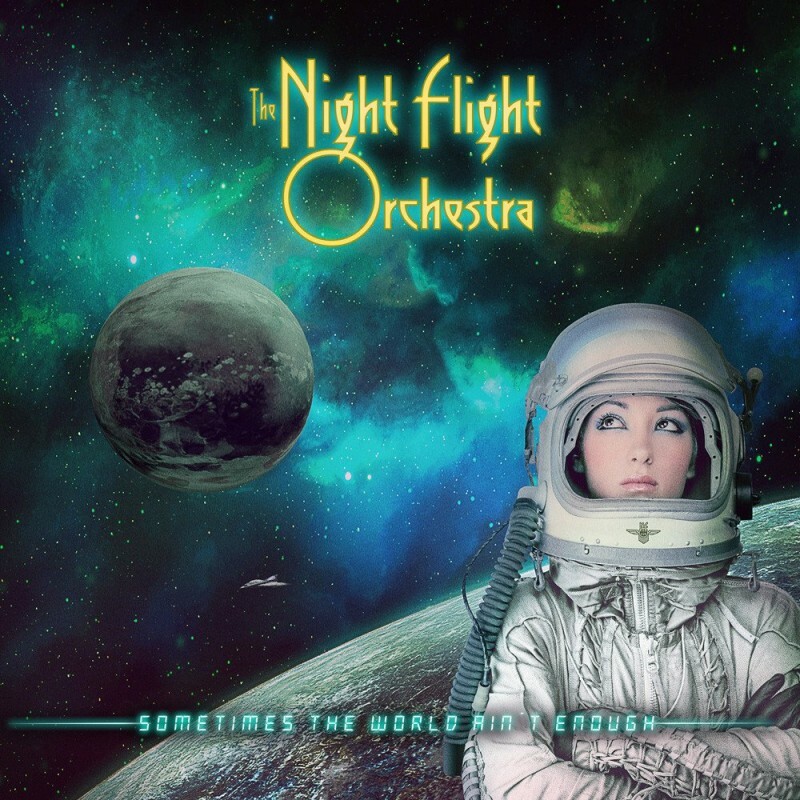 The Night Flight Orchestra always have been, this combo of Soil's Bjorn Strid and David Andersson have produced eighties music that has been ramped up to a huge size; some call it their guilty secret, but to Strid, it's nothing of the sort. 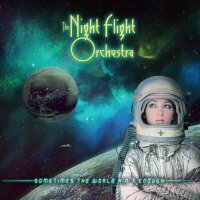 The last release, 'Amber Galactic', seemed to be The Night Flight Orchestra in excelsis, racing around with attitude and killer melodies to spare. The bar was set rather high. This one doesn't compete with that; it has less verbosity, it knows itself. The album kicks off with the racing and uncompromising 'This Time', cheeky Bar-room piano solo and all. 'Paralysed' isn't half fun with its tight bass and slashed to the waist dancing vibe, it's gorgeous and overdone Disco and what a blast it is, while the title track is completely in-your-face AOR with a lifting off chorus. Now then, if you subscribe to that "guilty pleasure" thing, the verse to 'Moments Of Thunder' sounds like Mr. Mister and Cutting Crew, and for those who like it, it's so sumptuous you can lie back in it and laugh. Fancy a ride? The 'Speedwagon' has an unashamedly fluffy décor, but plenty of poke and a very smooth ride – yes, and furry dice. You know what? 'Pretty Thing Closing In' is a Giorgio Morodor dance-floor filler, something they do amazingly well, with a George Benson type solo and breathy female narration. Elsewhere, Strid doesn't half go for the overwrought 'Last Of The Independent Lovers', a nine minute closer that starts big and stays there, a wonderful amalgam of all their sounds in one over-important package.